Furious 7 is raking millions past the expected box office earnings and currently pocketed $15.8 million in North America alone after it had premiered. 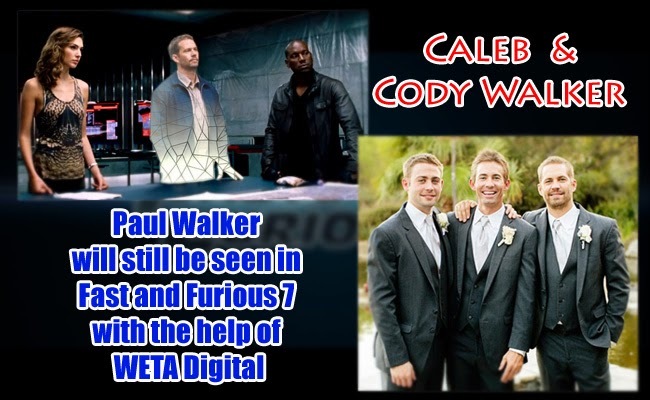 Behind the great success of the boosted action movie is a mammoth like task to give life to Paul Walker one last time. The recent Fast and Furious franchise had been in the middle of filming when one of the main cast, Paul Walker had passed away in a racing accident in 2013. Fans had been both shocked and curious of how the Universal Studios will be able to finish the movie without the co-lead in Fuious 7. They had to take out extra million dollars to recreate Walker’s role and make him seem alive as best they could. In the end they had shed a total of $250 million cost of production. Thankfully, Brian O’Conner, Walker’s character was not cut out of the movie and its director, James Wan, was able to complete the whole movie with O’Conner in it till the end with the use of cutting edge CGI approach. They are able to make digital double for Walker with the combination of latest technology, lighting, camera match moving, 3D tracking and Walker’s scenes. While the project was backed by around six VFX studios, WETA Digital was the one which shouldered mush of the project. Using the motion-capture technology, the same technology used for Dawn of the Planet of the Apes’ Ceasar and The Lord of the Rings Trilogy’s Gollum, they are able to recreate Walker’s character. As a tribute to Walker, the entire team used his unused footages from the past installments to make him as real as possible in the movies. They aimed create his scenes with musg of his footages. Seemingly impossible, the feat made them use four actors to be his double body and his brothers volunteered to be stand ins for the needed close up shot. With the motion capture technology, the footages of their body movements were used as Walker’s base layer while his face was match moved with CG technology and proper lighting. CG rendering technology was also mainly used for live action footages together with effects and extensive wraps. Fans will be seeing Paul Walker portraying Brian O’Conner, one last time, Furious 7, seemingly as a tribute to Walker, is expected to take the globe by storm in theaters.